The Road Book : WHERE TO GO ? Tashkent is one of the cities on the Great Silk Road. Today, it is Uzbekistan’s capital city and the country’s political, cultural and economic center. Tashkent has a lot of mausoleums. One of these is the Kaldyrgach-bly Mausoleum, the oldest one in Tashkent. Others are the mausoleums of Abubakr Muhammad Kaffal Shashi, one of the world’s first imams, and the mausoleum of Zainuddin-bobo Sheikh, who is the son of the founded the Sufi order. Tashkent also has an old town filled with mosques, Asian bazaars and madrasahs. The old town’s winding streets, courtyards and ancient buildings are a must-see for anybody taking a trip to Uzbekistan. Ichan Kala is a town dating from the 17th or 19th century. This city has retained and preserved its Islamic architecture and ancient monuments. Due to its authenticity and beauty, the city was listed World Heritage by UNESCO. It is surrounded by a brick wall of ten meters. The must see are the Djuma Mosque (Friday Mosque), the magnificent palaces dating from the 19th century, the mausoleum of Pakhlavan Mamoud, Mohammed Rahim Khan madrassah, the Tash Khavli (the stone palace), the summer mosque (1838), the throne room (1804-1806) etc. Khiva is known for its beautiful monuments dating from the 19th century during the governance of Alla Kuli Khan. The most interesting are the palaces Hovli Toch, the madrase Alla Kuli, domes Tim Alla Kuli Khan, and the fortress Kunya Ark (1686). Located in the northeast of Uzbekistan, Samarkand is the city of cultures and histories dating back more than two millennia. It contains the most beautiful masterpieces with a remarkable architecture. The most gorgeous relics remains are the mosque Bibi Kranym tribute to the wife of Tamerlane, the mausoleum of Bibi Kranym, the mausoleum of Tamerlane, the Registan, the necropolis of Shah-in-Zinda, the observatory of Ulug Beg etc. Due to its majestic ruins, the city has been a UNESCO World Heritage Site. As World Heritage of UNESCO, Bukhara is the oldest medieval town of Central Asia. The city is located in the south-east of the desert of Kyzylkum (red earth) west of Samarkand. It is considered as the city museum representing urban planning and time of Uzbek kings. You can find the oldest monuments such as the Mausoleum of Ismail Samani, the citadel (Ark), Mir Arab madrassah, Juma Mosque, the Mosque Bala Hauz etc. You will be amazed by the magnificent mosaics and colorful bazaars. Fergana Valley is the largest desert basin found between the Pamir and Tian Shan mountains. It is fed by two rivers, the Kara Darya (“Black River”) and the Naryn, which flows from the Tian Shan. These two rivers eventually merge to form one of the largest rivers in Central Asia, the Syr Darya. 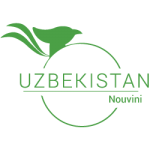 The valley is a must-visit for people looking forward to understanding Uzbek farming. A lot of produce – fruits, grains, vegetables, and the area’s major product, cotton – come from this valley. Visitors are welcome to visit Fergana Valley’s vast cotton fields and fruit orchards. Other places of interest in the valley include silk shops and colorful bazaars. A huge man-made lake, Charvak Lake, is a favorite summer destination of Uzbeks and their guests. This artificial lake was created by putting up a dam, the Charvak Hydropower Station, in the Chirchiq River. Today, the Charvak Lake functions as a resort. Lodges, conference halls, bars, food chains are now found in the area. Locals and tourists alike come to enjoy the picturesque view of the lake against the majestic mountainous background.